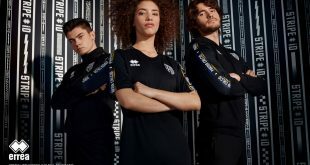 Errea & Parma Calcio unveil the third 2018/19 kit for team’s return to Serie A! 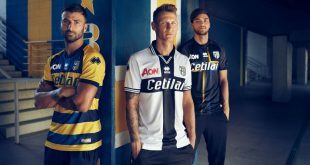 2018-08-05	Italy, Kits Comments Off on Errea & Parma Calcio unveil the third 2018/19 kit for team’s return to Serie A! 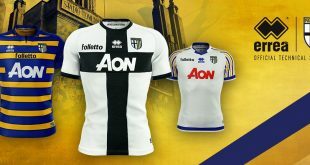 VIDEO – Errea: Making Of Parma Calcio 2017/18 season kits! 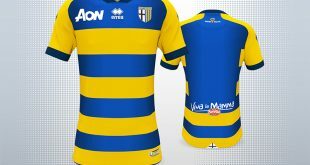 2017-08-27	Italy Comments Off on VIDEO – Errea: Making Of Parma Calcio 2017/18 season kits! 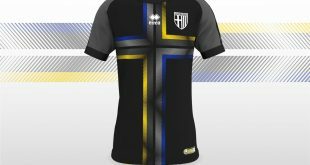 Here comes the Erreà Sport making off of the Italian Serie B side Parma Calcio 2017/18 season kits, then a kit is like the best armour, made with dedication and care, is a companion of every battle.